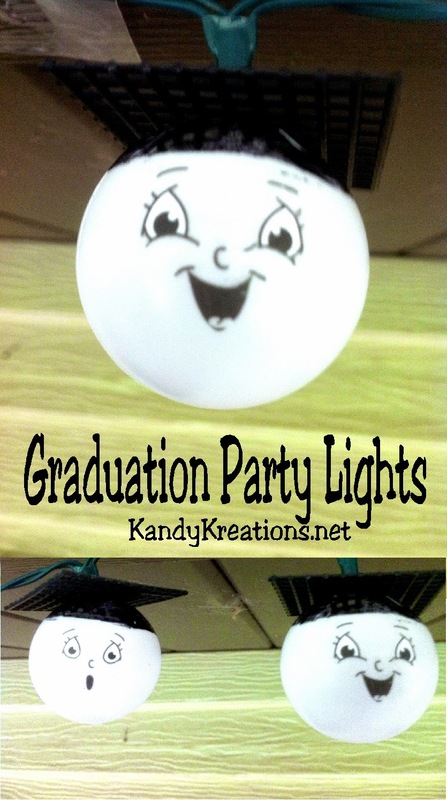 Shine some light on your graduate with these fun Graduation party lights. 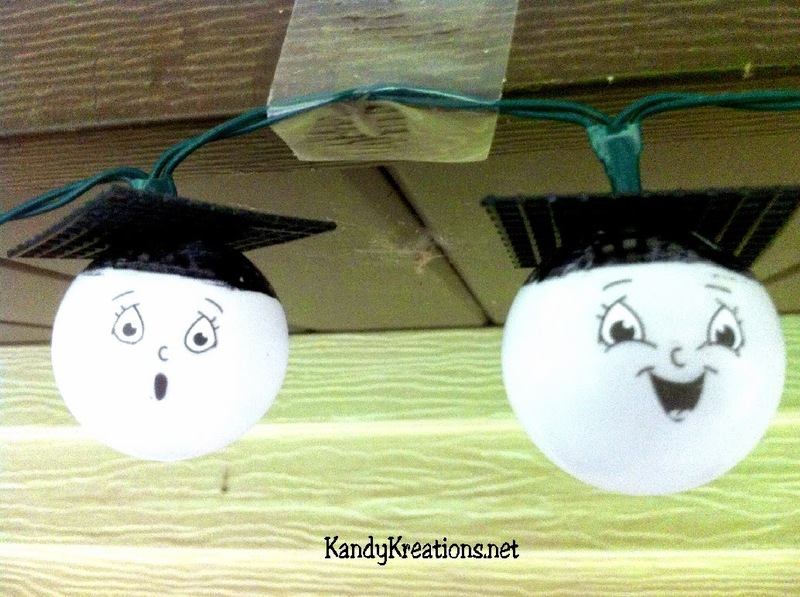 The fun faces will happily show through your graduation party and make everyone smile. Since we are planning to have a low key party this year, we are just going to do it in our backyard. So we needed some fun lights to throw into the celebration. 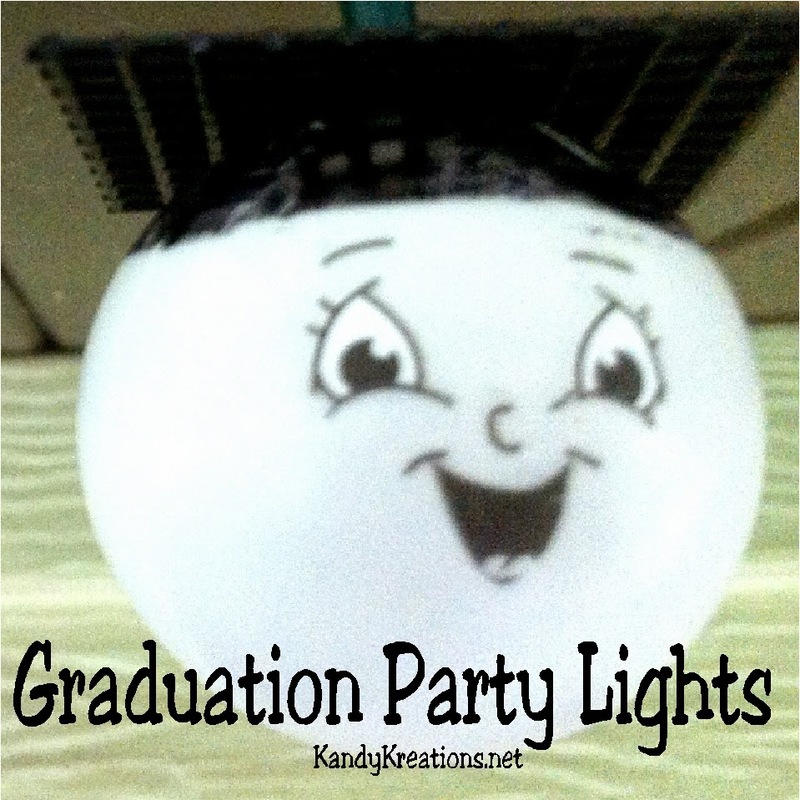 These graduation party lights are fun, easy, and awesome! Don't you just love the little faces? They make me smile. 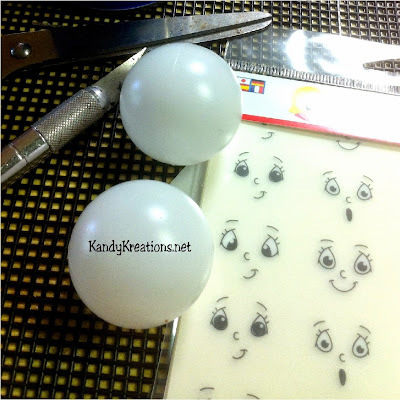 Start by taking a ping pong ball and draw a circle on the top of the ball with your black paint marker. Using the top of the circle as a cap, rub the face on to the front of the ball. Use your x-acto knife to cut an X in the top of the black circle. I made my graduation caps out of black plastic canvas since I wanted them to be water proof. If you are going to use your graduation lights inside, you can use black card stock or black fun foam. Cut out the center 4 squares to allow for your mini lights to fit through. Slide the plastic canvas onto your light and follow with the ping pong ball. Have a fun graduation party and enjoy the extra smiles and faces at the party.